The 2011 Mitsubishi Outlander Sport ranks 13 out of 23 Affordable Compact SUVs. This ranking is based on our analysis of 27 published reviews and test drives of the Mitsubishi Outlander Sport, and our analysis of reliability and safety data. The 2011 Mitsubishi Outlander Sport may not be the most capable compact crossover, but a comfortable ride and standards like Bluetooth and a USB port make it a great value. 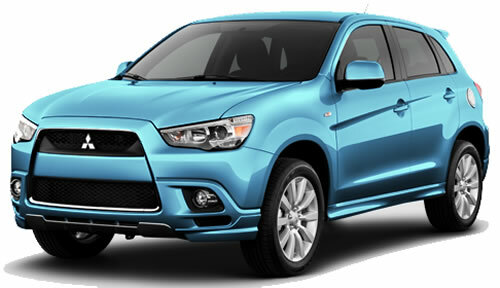 In fact, the Outlander Sport is such a good value that we named it the 2011 Best Compact Crossover for the Money. Shoppers who plan to spend about $19,000 on a compact SUV will be interested in the 2011 Mitsubishi Outlander Sport because it is inexpensive, spacious, has standard Bluetooth and great fuel economy. If you’re looking for a good performance, however, the industry suggests looking elsewhere. The Outlander Sport’s 2.0-liter four-cylinder engine only makes 148 horsepower, and despite having a small frame that should make it fast, reviewers say the Outlander Sport isn’t much fun to drive. That’s partly due to its continuously variable transmission that helps give the Outlander Sport high fuel economy ratings of 25/31 mpg city/highway, but permeates the cabin with a distinct buzz.